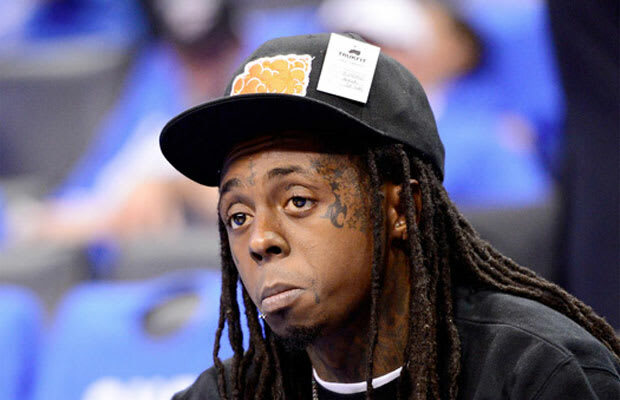 When it comes to sports, Lil' Wayne could be accused of being a fair-weather fan. He hails from New Orleans yet backs the Green Bay Packers and has shown up at plenty of Laker and Heat games. All of these teams have something in common: None of them lose very often. But Wayne has been accepted at each arena he's graced with his presence, usually securing court-side seats without a problem. Wayne found out the hard way that they do things a little different out in the middle of the country when he tried to roll up to the Oklahoma City Thunder's playoff game against San Antonio without a ticket. Expecting to be ushered to a courtside seat to watch Kevin Durant ball, he was denied access completely. Everyone is treated equally in OKC, Mr. Carter.